New solutions to old problems. Replace your windows with doors. If your customers needs don’t excite you, Quit Now! Body Shops – Change Your Game with Google Apps. Tags: 3mcollision, axalta, BASFrefinish, collision edge, ppgrefinish, priming, priming process, sherwin williams, sikkens, single source, the tape thing. We have all been there. A peaceful morning in the shop office is shattered by a single phone call. The callers question? “When will my car be ready?” Off to the races, receptionist says “Hold on a minute,let me check!” Then we proceed to interrogate everyone in the shop office, head to the body shop and ultimately we end up in the paint shop asking the painter when he is going to get that car done…(which by the way he just got a few minutes ago because of everything else that delayed the car for the last 10 days! )…and then we talk about needing faster paint or a better painter or someone to come fix our “bottleneck” in paint! So…why is communication so hard? Its hard because in Body Shops have tough jobs that involve many different people both inside and outside our business. Years ago I bought a day planner thinking “This will organize me”…I doodled in it, made notes, carried it around and finally threw it in the trash because I found I didn’t have time to be organized because I was too busy! I bought a solution to a problem, but failed to execute the solution because it was someone else’s system and I didn’t take the time to wrap my activities around it. Google Apps offers some serious benefits to shop owners with ZERO cost. I’m not a paid Google spokes person. When I find simple solutions for my customers that work I’m going to talk about them! 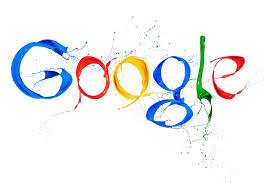 Google has created software versions similar to Word, Excel and Powerpoint. These programs are offered free to registered users. They are not as pretty as other programs, but boy are they powerful. Here is why. We all use excel to create to go lists, process sheets and if we get really fancy financial tracking. These sheets are typically locked away on one computer in the shop or maybe they are even on a shared server. Even still edits are painful because of versioning and other issues. Google sheets looks ordinary, even cheap compared to Excel…with one exception…50 people can be on a single sheet at one time editing cell by cell beside each other LIVE with autosave every time you click out or hit the enter button. So what is the win? You can now create and share your production sheet with your entire organization simultaneously and allow your people to edit the sheet live. Here is an example. I’ve used this app to set up parts return logs, parts room inventories of “leftover un-returnable items” whatever. Its very easy to work with once its set up. Google calendars offers the ability to create individual employee calendars as well as shared calendars and email reminders to coordinate all of your staff together. Schedule cars in and out, keep up with booth maintenance items and remember your anniversary or spouse’s birthday all at once, totally secure, with the ability to display multiple calendars on top of each other all driven by your log in. You have total control of who sees what, when and where. Google communities and Google Groups, offers you the ability to create a closed group that stream post like other social media outlets. Your people can collaborate 24/7 from any device. Google Hangouts even allows you to video chat with anyone or any group of people anytime or anywhere you wish, even in your own building! Again, Free. How cheap are big screen TV’s today? Any store you go to will have a 8 Zillion inch “old tech” tv for surprisingly cheap. Go out in your shop, hook up a $200 computer with a browser and your done. Put one in every department…It will pay for itself immediately and it raises the image of our collision centers. I know many of you have already taken the technology plunge, this was not for you. If you have invested in I.T. make sure you are utilizing the functionality and getting good information out of your system. If you are not sure you are, then why are you paying for it each month? Keep it simple. I hope this information was helpful to you. Please feel free to comment, subscribe and share our little blog. Find more information about us at http://www.collisionedge.com. We are always available to assist you in setting up your system. Have a good day yall! Tags: collision edge, priming, priming process, single source, the tape thing. Lets face it…production painting is hard work. Why make it harder? My name is Tim Briggs. I have been standing and watching paint shops across North America run for years. During that time I’ve come to realize that getting cars done is all about the order and number of operations we perform. Cars don’t care how many times we touch them or how much time it takes to get them done. Take the priming process for example. Lets assume we are priming a quarter panel with plastic filler just out of the body shop. How many times will we prep that car? You may have said “1”. I hope that is the case. Here is the reality. Many times we fail to plan the whole process because we are focused on the part of the job at hand. So here is how it goes…1. We check the filler for pinholes (a whole separate topic in itself). 2. We feather back the scratches around the filler. (Hopefully minor if the plastic process is right.) 3. We sand back to where we estimate the primer will end. 4. We soft line mask the primer area. 5. We clean and prime the car. 6. After dry time we unmask the car, block the primer, decide if we need to re prime (production killer) 7. We sand or scuff the rest of the quarter, sail, roof, etc. 8. We mask the car. 9. We catch any prep issues in the booth 10. We paint. Sound pretty typical? Ok so here is the point. In this example alone, we turned one process into 3. Why do we sand for primer, sand for prep and sand to touch up in the booth. Its the same operation but it starts and stops 3 TIMES! New process, 1. Check the filler. 2. Prep the entire job booth ready pay attention to detail. 3. Refine your scratches around the filler. 3. Do minimal masking, use short plastic instead of building tents out of 36″ green. Be smart with the way you prime, HVLP or even roll prime if the repair is small. 4. When the job is cured, block the primer and wrap up the car. 5. Paint. 1. If you have to go larger than you thought with the primer, there is no tear back from unprepared surface. 2. The sanding operation is done 1 time. (Hopefully from a prep cart so materials are handy and not wasted by throwing stuff on the floor between steps) less sandpaper used is important since 8-10% of a shops purchases are abrasives. 3. The bulk of the prep work is completed before the cure time wait. This gets the car in the booth faster once its dry. 4. Sanding the bulk of the job early reduces the sanding dust later in the process for cleaner paint jobs. 5. The biggest win…higher booth utilization. More cars, same effort, different order of (streamlined) operations. Please feel free to comment and share as we all learn together.